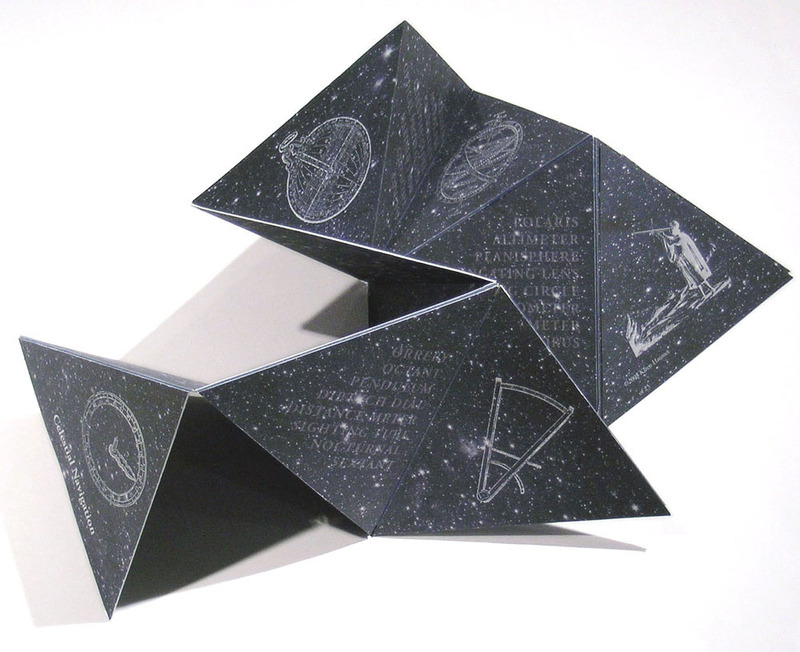 The Fall 2008 Ettinger Book Artist Series presentation was given by Karen Hanmer, a Chicago-area book and installation artist, on Tuesday, Oct. 7 at 7 p.m. in the Special Collections Dept. Hanmer is noted nationally for her expressive use of dynamic structures, such as flag books, tunnel books, Jacob’s ladders, game boards, pop-ups, and a wide array of accordion structures. The lecture, supported by the Ettinger Family Foundation, is always free and open to the public. Special Collections is located on the fourth floor of the UWM Golda Meir Library, 2311 E. Hartford Ave. For more information or for special needs, please call 414-229-4345.